FCC licensing, which is required for most industrial two-way radios and systems, can be frustrating to complete the required documents and make sure the details are correct. At Aerowave we pride ourselves helping our customer operate a well-designed system and we are industry experts in current regulations regarding two-way radios and Narrowbanding. What are current Narrowbanding requirements? In recent years the FCC has mandated that all radios be transitioned from operating on 25 kHz signal spacing to narrowband equipment that operates on 12.5 kHz signals. While the current requirements went into effect in 2013, there will be a time that the FCC will further reduce Narrowbanding requirements to 6.25 kHz signal spacing. 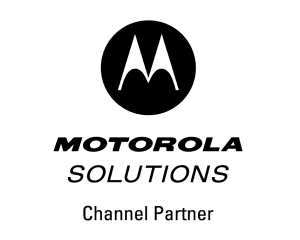 Fortunately, we offer a wide range of radios and equipment, such as the MotoTRBO digital radios that operate within the current laws, but also for future regulations. Not sure if your current radio system is compliant? We can help with that as well. Not only can we answer all your questions about current requirements, but we can make sure your system complies now and in the future. Contact Aerowave Technologies today to learn more about our FCC licensing services and how we can help you improve organizational communications, productivity, and safety with a better communications solution all around.